Kent, Carol, Yacht Charters, Six Harbor View Terrace, Salem, MA, 01970, USA, (tel) 508-745-8035, (fax) 508-745-5642. Keys & Bahamas Charters by Trawler, 2630 NE 41st Street, Lighthouse Point, FL, 33064-8064, USA, (tel) (954) 941-2556, (fax) (954) 788-2666. E-mail. Kiko Toro, Inc, 2165 General Del Valle, Santurce, 00913, (tel) 809-726-1870, (fax) 809-727-8460. Lady Diane Charters Ltd., P.O. Box 3257, Lake Tahoe, NV, 89449, USA, (tel) 954-412-2135, (fax) 954-779-2435. E-mail. Lalemant NV, Attn: Mr P Pettersson, Doornzelestraat, 71, Gent, B-9000, Belgium, (tel) 011-32-9-2355611 or 2355635, (fax) 011-32-9-2238499. Land's End Marine Adventure, 401-1195 West 13th Avenue, Vancouver, BC, V8V1A1, Canada, (tel) 604-737-8690, (fax) 604-737-8675. E-mail. Lantern Bay Charters, 34300 Lantern Bay Drive, Dana Point, CA, 92629, USA, (tel) (949) 487-9218, (fax) (949) 240-8688. E-mail. Larry Barrett, 2525 Shelter Island Drive, San Diego, CA, 92106, USA, (tel) 619-857-2628, (fax) 619-222-4392. E-mail. Whether you're buying or selling I can help you with all of your boating needs! Work with a broker who has "YOUR BEST INTEREST IN MIND" Not theirs! Quality listings are welcome! Le Boat, Inc., 215 Union Street, Hackensack, NJ, 07601, USA, (tel) (800) 992-0291, (fax) (201) 342-7498. Ledger Marine Charters, 1500 Westlake Ave N, Suite 110, Seattle, WA, 98109, USA, (tel) (800) 659-3048. E-mail. Lenore Muncie Yacht Charters, 1323 SE 17th Street, Suite 405, Ft. Lauderdale, FL, 33316, USA, (tel) (954) 527-1665, (fax) (954) 525-9520. Les Bon Temps Charters, 2415 Parkview Dr., Pearland, TX, 77581, USA, (tel) 281-485-7218. E-mail. Les Bon Temps Charters offers, party cruises, fishing, diving and, bed & breakfast. Boats: 60' Hatteras Conv. A/C flybridge, 42' Hatteras, 26' Shamrock, 25' Hydro Sport, and 23' Parker Big Bay. Little Harbor Yacht Charters, One Little Harbor Landing, Portsmouth, RI, 02871, USA, (tel) 800-225-7973. E-mail. Booking worldwide crewed charters on sailing and motor yachts 50' and above. Wharf Boat Charters, Inc., 68 Long Wharf, Newport, RI, 02840, USA, (tel) 401- 849-2210. E-mail. Lots of Yachts/Lots of Spots, 1 Irving Plaza P27A, New York, NY, 10003, USA, (tel) 212-505-2214, (fax) 212-677-5212. E-mail. Luxury Yachts Ltd., Suite 532, 800 South Wells Street, Chicago, IL, 60607, USA, (tel) (312) 922-3388, (fax) (312) 939-2643. E-mail. Luxury Yacht charters available from 2 to 149 guests aboard Rienzi, Gold Coast Lady and Rienzi II, Chicago's most luxurious charter yacht. Lynn Jachney Charters, Inc, Box 302, Marblehead, MA, 01945, USA, (tel) (617) 639-0787, (fax) (617) 639-0216. Madison Bay Yacht Charters, Bainbridge Island, WA, 98110, USA, (tel) 206-346-3023, (fax) 206-842-1777. E-mail. Bareboat Charter a classic 41' sloop. Start your cruise from historic Port Madison on beautiful Bainbridge Island, a 30 minute ferry ride from Seattle, and a one day cruise from the San Juan Islands. Malabar Charters, P.O. Box 901, West Barnstable, MA, 02668, USA, (tel) 508-771-0711, (fax) 508-771-2061. E-mail. Charter Tar Baby, a vintage 65' Alden staysail schooner and widely recognized as one of the finest examples of a classic wooden yacht in the world. She's available for crewed chartering. Manos Vernicos, 145 Filonos Str, Piraeus, 185 36, Greece, (fax) 011-301-452-3571. 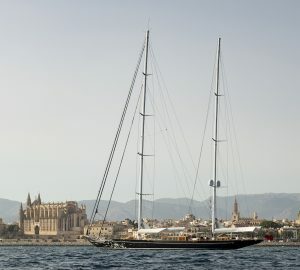 Maran Yachtcharter, Skutmakkerpole 12, Terkaple, 8542 AJ, Holland (Netherlands), (tel) +31-566-689305, (fax) +31-566-689790. E-mail. Maratticus Srl., Corso Magenta 56, Milano, 20123, Italy, (tel) +39 2 4818446, (fax) +39 2 4813217. E-mail. Operating all over the world since 1980, Maratticus represents all the best charter companies worldwide from their homeport and Italy. Moorings, Stardust, VPM Agent. Marco Polo Cruises, 21-62 48th Street, Astoria, NY, 11105, USA, (tel) 212 691 6693, (fax) 718 778 0499. E-mail. We have two charter vessels in NYC Harbor. Prices start at $55 per person. Mares Yacht Charters, 1535 SE 17th Street, Ft. Lauderdale, FL, 33316, USA, (tel) (954) 523-8832, (fax) (954) 523-2236. Margaritaville-Charters, Boston, MA, USA, (tel) (617) 216-7555. E-mail. Come sail with us aboard a classic designed 54 foot sailing ketch, see the tall ships from June 29th through July 4th in Newport, R.I. Then enjoy more of the tall ships 2000 Gala in Boston from July 4th through the 20th, including the parade and fireworks. Taking bookings up to 12 people. Cape Cod, whale watch, and overnights are also available. Marina Charters.com, Inc., 315 Montana Ave., Suite 110, Santa Monica, CA, 90403, USA, (tel) (310) 451-1225, (fax) (801) 858-5548. E-mail. Yacht charter broker. Private yachts. Sailboat charters. Party yachts. Weddings. Price comparisons. One-stop shopping. Crewed or bareboat. USA and Worldwide. Marina Sailing, 3001 Peninsula Road, Oxnard, CA, 93035, USA, (tel) (805) 985-5219, (fax) (805) 985-3629. E-mail. A sailing club with six locations in Southern California, we offer ASA certified sailing instruction and a large charter fleet. Marine Time, L'aventure, Chemin du Port, Attn: Cornie Mazurier, Marigot, St Martin, 97150, French West Indies, (tel) 011-590-87-20-28, (fax) 011-590-87-20-78. Maritime Management Co., 10115 Greenwood Avenue, No. #M203, Seattle, WA, 98133, USA, (tel) 206-963-6388, (fax) 206-440-5485. E-mail. Med Sale USA, Inc., 201 S.E. 15 TER, Suite 210, Deerfield Beach, FL, USA, (tel) 305-481-1790, (fax) 305-481-2433. Mediterranean Yachts SA, Attn: Sophia Liveras Dafnias, 36 Akti Moutsopoulou, Piraeus, 185 36, Greece, (tel) 011-30-1-45-21-307 or 354, (fax) 011-30-1-45-21-295. Meridian Yacht Charters, P.O. Box 148, Irvington, VA, 22480, USA, (tel) 866-960-0000, (fax) 804-438-1133. E-mail. We are committed to providing our clients with expert independent advice and guidance in selecting the ideal Yacht, Villa or Resort for the perfect holiday in the Caribbean, Mediterranean,New England. MG Yachts Ltd., 2, Makariou Str. Alimos 17455, Athens, 17455, Greece, (tel) +30 10 9830153, (fax) +30 10 9819564. E-mail. Treat yourself better on a MG YACHT! Prepare yourself for the endless lace-work of the coastline, the exciting seas, and the sun that dominates over all this magical breathtaking scenery. Moncada di Paterno, Via Montenapoleone 8, Milano, 20121, Italy, (tel) 39-02-76004649, (fax) 39-02-76004904. Mystery Ship Charters, 5 Oceanview Boulevard, Key Largo, FL, 33037, USA, (tel) (305) 852-0876, (fax) (305) 852-6075. E-mail. Mystic Island Charters, 2263 W. New Haven Ave. #301, W. Melbourne, FL, 32904, USA, (tel) 1 866 229 2992, (fax) 1 866 229 2992. E-mail. Zum Ehrenhain 8, D-22885 Barsb?ttel, Germany, (tel) +49 (0)40 547 547 52, (fax) +49 (0)40 547 547 52. E-mail. Tr?umen Sie nicht auch davon, einfach mal die Seele baumeln zu lassen? Einfach mal den Alltag zu vergessen? Einfach loszufahren? Es ist so einfach! Nautica Charter, via Susa 56, Torino, 10138, Italy, (tel) +39 011 4343241, (fax) +39 011 4343244. E-mail. Nautica Charter, bareboat cruises around Mediterranean Sea, Caraibs, in all the best world seas and over the best channels of all Europe. Nebauer Silvie, BR Kuwum, Kerobokan, Bali, Indonesia, (tel) +62 361 735 705. E-mail. Our fleet - 50' luxury motoryacht located in Bali, takes you on the trips to the Long Islands surrounding the islands of the Gods. Pure luxury with first class service. Nelvana Yacht Charters, 28 Thirty Third Street, Toronto, ON, M8W 3H1, Canada, (tel) 416-255-5655, (fax) 416-201-0154. E-mail. Corporate and private yacht charters from Toronto's Harbourfront. Luxurious ammenities and dance deck. Superb catering, onboard BBQ and chef. Coast Guard certified and L.L.B.O. licensed. Newport Yacht Charter Association, PO Box 1072, Newport, RI, 02840, USA, (tel) 1-888-291-5803. E-mail. Newport Yacht Charters, PO Box 1224, Newport, RI, 02840, USA, (tel) 401-423-2345, (fax) 401-423-0934. E-mail. Newport Yachting Center, Attn: Chris Perrotti, P O Box 550, Newport, RI, 02840, USA, (tel) 401-846-1600 x221, (fax) 401-847-7754. Nicely-Dunn Yacht Charters, P.O. Box 2945, Evergreen, CO, 80437, USA, (tel) (800) 874-0724, (fax) (303) 670-3207. E-mail. Nicholson Yacht Charters, Attn: Karen Kelly, 1 Bowen's Landing, Newport, RI, 02840, USA, (tel) 1-800-227-0881 or 401-849-0344, (fax) 401-849-9018. Nicholson Yacht Charters, Inc., 29 Sherman Street #1, Cambridge, MA, 02138, USA, (tel) (800) 662-6066, (fax) (617) 661-0554. E-mail. Northeast Yacht Charters, 10 Nonantun Rd., Marblehead, MA, 01945, USA, (tel) 781-595-7235. E-mail. Northwest Marine Charters, 1500 Westlake Ave N, Ste 110, Seattle, WA, 98109, USA, (tel) 800-659-3048, (fax) 206-283-3041. Nuova Dimensione, Via della Pesca,5, Fiumicino (RM), Italy, (tel) ++39 03683745009, (fax) ++39 0666181130. E-mail. We operate over Sardinia Island and Tireenian sea with beautiful and comfortable sailings boat at the right price. Contact us. NY Boat Charter, Inc., 145 W.71st Street Suite 5-G, New York, NY, 10023, USA, (tel) 212-496-8625, (fax) 212-496-7682. E-mail. Ocean Getaways, PO Box 6539, Portsmouth, NH, 03802, USA, (tel) 603-430-8363, (fax) 603-431-2398. E-mail. Ocean Voyages, 1709 Bridgeway, Sausalito, CA, 94965, USA, (tel) 415-332-4681, (fax) 415-332-7460. E-mail. Ocean Voyages offers world-wide sail and power charters. Our experienced staff can help you find the charter experience that you want. Ocean West Company, 24302 Del Prado Suite B, Dana Point, CA, 92629, USA, (tel) 949-248-1436, (fax) 949-240-7096. E-mail. Offshore Sailing School Ltd, Customer Service Department, 16731 McGregor Boulevard, Ft. Myers, FL, 33908, USA, (tel) 941-454-4700 or 800-221-4326, (fax) 941-454-1191. Old Salt Charters Ltd., 2086 West 7th Avenue, Vancouver, BC, V6J 1T4, Canada, (tel) 604-736-0238, (fax) 604-736-0248. E-mail. Olympic Yacht Charters, 41-45 39th Street, Sunnyside, NY, 11104, USA, (tel) 718-3927992, (fax) 718-3927993. E-mail. Orca Yacht Charters International, 2901 West Coast Hwy, Suite 220, Newport Beach, 92663, USA, (tel) 949-650-6722, (fax) 949-650-6102. E-mail. International listing on luxury yachts for charter. Been in business 14 years. We pride ourselves in the quality of service and offer our clients privacy, professionalism and a complete knowledge of our field. Pacific & Worldwide Yacht Mgmt, Singapore, 24, Peck Seah Street, #07-06, Nehsons Bldg, 079314, Singapore, (tel) 011-65-227-0159, (fax) 011-65-227-0174. Pacific Marine, 485 E. 17th street Ste.111, Costa Mesa, 92627, USA, (tel) 949.642.0900, (fax) 949.646.6361. E-mail. We are full service marine operation from yacht chartering to salvaging. Pacific Northwest Charter Association, PO Box 1096, Anacortes, WA, 98221, USA, (tel) 800-359-8541, (fax) 360-299-2526. E-mail. Paradise Connections, 41 Water Isle, St Thomas, 00802-7802, Virgin Islands, (tel) 877-567-9350, (fax) 340-774-1111. E-mail. Paradise Connections represents quality sail, catamarans, and power yachts available for all-inclusive Caribbean crewed charter yacht vacations. Based in the Virgin Islands. Paradise Yacht Charters, 128 NE 16th Terrace, Fort Lauderdale, FL, 33301, USA, (tel) 954-491-8191, (fax) 954-491-5811. E-mail. Paradise Yacht Charters specializes in private yacht charters throughout the world. PC Yacht Charters, PO Box 1123, 33 Kenwood Street, Pocasset, MA, 02559, USA, (tel) (508) 563-5600, (fax) (508) 563-5600. E-mail. PC Yacht Charters caters to the sailor. Cape Cod has the best sailing grounds in the Northeast. Come sail with us. PCO - Private Charter Ostsee, Wischof 3, D-24211, Germany, (tel) 04342/7899610, (fax) 04342/7899611. E-mail. PCO Charters, 135 W. Ludlow Point Rd., Port Ludlow, WA, 98365, USA, (tel) 360 437-0105, (fax) 360 437-0105. E-mail. Voyages can be a weekend or a month. Enjoy the San Juan Islands, the Canadian Gulf Islands, Desolation Sound, Princess Louisa Inlet or other areas accessible only by private yacht. Pellicano Charters, 333 Avenue Pasteur, Rio De Janeiro, Brazil, (tel) 55 21 985 3758, (fax) 55 21 322 2879. Pera Yachting, 24/3 Taksim, Ystanbul, 80090, Turkey, (tel) 0090 212 238 06 80, (fax) 0090 212 238 06 80. E-mail. Port O'Call Yacht Charters, Ltd, 5245 Mercier, Kansas City, MO, 64112, USA, (tel) 1-800-742-9919 or 816-756-2363, (fax) 816-756-2363. Prime Yachting Limited, Perimeter Road, Building 1515, West Palm Beach, FL, 33406, USA, (tel) 407-233-7233, (fax) 407-233-7222. E-mail. As owner-operators, Prime Yachting has the unrivaled experience and in-depth knowledge to provide you with an unequaled vacation on an exclusive private yacht. Priscilla Yacht Management, Inc, 400 SE 12th St, #D, Ft. Lauderdale, FL, 33316, USA, (tel) 305 523-8200, (fax) 305 523-8209. Pure Greek Yachting, 25 Akti Miaouli, Piraeus, 18535, Greece, (tel) +30 210 4112207, (fax) +30 210 4117619. E-mail. One of the best chartering companys in Greece. We know the market as well as the yachts because we work on them. Quadrante Sud s.a.s., Viale Nizza, 8, Sorrento, 80067, Italy, (tel) +39 818 771959, (fax) +39 818 771959. E-mail. Sail cheval: a comfortable, safe and fast 50 foot catamaran, crewed. Radial Sportfishing, 202 Mansion Avenue, Staten Island, NY, 10308, USA, (tel) 718-984-3346, (fax) 718-967-7769. E-mail. Richard Sales, 2130 NE 36th ST # 68, LIGHTHOUSE PTE., 33064, USA, (tel) 954-941-9627. E-mail. Richleigh Yachts Inc., P.O. Box 550070, Fort Lauderdale, FL, 33355, USA, (tel) (800) 578-4348, (fax) (954) 236-8822. E-mail. Ricki Davis Inc., 1323 SE 17th Street, Suite 209, Ft. Lauderdale, FL, 33316, USA, (tel) (954) 761-3237, (fax) (954) 764-0497. RNR Yacht Charters, 809 SW 9th Street, Ft. Lauderdale, FL, 33315, USA, (tel) (800) 525-2526, (fax) (954) 463-4525. E-mail. Luxury yacht charters power and sail. We offer you over 1000 yachts and 30 years experience in yachting. Royal Pacific Management Group, P O Box 2010, Stuart, FL, 34995, USA, (tel) 407-287-9873, (fax) 407-287-0832. Royal Yacht Charter, 265 Riverchase Parkway East, Suite 107, Birmingham, AL, 35244, USA, (tel) 205-985-0850, (fax) 205-988-5571. E-mail. Ruby Cruises - Miami, P.O. Box 332, DeLand, FL, 32721, USA, (tel) 305-218-8400. E-mail. Charter Ruby Swan, a 1987 44' Gulfstar Widebody Motoryacht. Based in Miami, Florida, she has two staterooms, and can go anywhere you want, anytime you want. Russell Yacht Charters, Inc, 404 Hulls Highway, South Port, CT, 06490, USA, (tel) 1-800-635-8895 or 203-255-2783, (fax) 203-255-3426. Sacks Yacht Charters, 1600 SE 17th Street, Suite 418, Ft. Lauderdale, FL, 33316, USA, (tel) 954-764-7742, (fax) 954-523-3769. E-mail. Sail Paradise Yacht Charters, 504 Woodstork Circle, Bradenton, 34209, USA, (tel) (800) 392-1350, (fax) (800) 392-1350. E-mail. Brokers for the finest yacht vacations in the Caribbean. Sail Superior Yacht Charters, 1100C Memorial Ave., Suite 215, Thunder Bay, ON, Canada, (tel) +888-303-2628, (fax) +807-623-5122. E-mail. Sailing Pleasures, Athens, 16673, Greece, (tel) +44 (0)700 5938501, (fax) +44 (0)700 5938506. E-mail. Sailing bareboat and skippered yacht charters in Greece, sail cruises around the Greek Islands. Sailing Vacations Inc., 415 West Magnolia Avenue, Suite 215, Merritt Island, FL, 32952, USA, (tel) (800) 922-4880, (fax) (321) 459-3028. E-mail. Specializing in the Caribbean. This value-oriented site lets you pico from hundreds of crewed charteryachts and lists them in price-ascending order. Salty Seas Yacht Charter, Sandvikbakken 26, Sandnes, N-4300, Norway, (tel) +4751628736, (fax) +4751628023. E-mail. Crewed, skippered, and bareboat charters world wide. Stop by our award winning web site. We cater to clients from all over the world. Scandinavian Charter Yachts, Henry Lehres vei 29, 1322 Hoevik Norway, Hoevik, 1322, Norway, (tel) +47 67 54 31 51, (fax) +47 67 54 31 51. E-mail. Scansail Yachts International GmbH, Box 462, Hudson's Hope, Canada, (tel) 250 783 5396, (fax) 250 783 5396. E-mail. For the experience of a lifetime! You name it, we get it for you! Take advantage of the low German Mark Exchange Rate! Sea Rays Yacht Charters, 1635 North Bayshore Drive, Miami, FL, 33132, USA, (tel) 305-358-8893. E-mail. Sea Trek Charters, 801 Seabreeze Blvd, B255, Fort Lauderdale, FL, 33316, USA, (tel) 954 463 4304. E-mail. Seaforth Boat Rental, 1641 quivira road, San Diego, CA, 92109, USA, (tel) 619.223.1681. E-mail. Select Charters Corporation, 5030 North MacArthur Boulevard, Suite 148-239, Irving, TX, 75038, USA, (tel) (972) 255-6565, (fax) (972) 255-2944. E-mail. Select charters will help you fulfill that vacation of a lifetime on a crewed charter yacht. Sailing, SCUBA, snorkeling and more are waiting for you! Seven Seas Yacht Charters, 2216 Lakeshore Drive, Nokomis, FL, 34275, USA, (tel) (800) 346-5355, (914) 966-6017, (fax) (914) 966-4038. E-mail. Ship Chandlery, Inc., 1500 Old Newport Boulevard, Costa Mesa, CA, 92627, USA, (tel) (714) 548-4192, (fax) (714) 548-1075. Sirius Yachting, Iskele Mey. Gocek, Mugla, 48310, Turkey, (tel) +90 252 6452531, (fax) +90 252 6452625. E-mail. Sound Sailing, Inc., 958 Sea View Drive, Oyster Bay, NY, 11771, USA, (tel) 516 236 2792. E-mail. Yacht Brokerage, Charters, sailing coaching, and MORE. Southern California Yacht Charter Brokers, Newport Beach, CA, 92663, USA, (tel) 949 945-1600. E-mail. California Yacht Charter Brokers. Your premier choice for corporate events, special events, seminars and weddings at sea! Serving Southern California. Call today (714) 457-7715 . Space Coast Sailing Center Inc., 1399 Banana River Drive, Indian Harbour Beach, FL, 32937, USA, (tel) 321-777-8189, (fax) 321-951-4925. E-mail. Full service sailing center. ASA sailing school, lessons, sailboat rentals, excursion charters. Spruce Island Yacht Charters, 35 Dodge Mountain Road, Rockland, ME, 04841, USA, (tel) (207) 594-4590. E-mail. St. John Sailing, 1071 KN, Amsterdam, Holland (Netherlands), (tel) 0031 206703774, (fax) 0031 206703775. E-mail. We are a company offering Sailing events,Corporate and Racing charters world wide as well as in the Netherlands.To Companies and individuals, sailors or non sailors. Stardust Marine, 450 SW 130 Ave, Davie, FL, 33325, USA, (tel) 800-919-8229, (fax) 954-236-8822. E-mail. STARELLIT International, 410 Park Avenue, 15th Floor, New-York, 10022, USA, (tel) +1(212)750-4111, (fax) +1(212)750-2772. E-mail. Crewed Yacht Charters Worldwide. Sailing or power, from 100ft to the most luxury. Start Me Up Sportfishing, 658 Front St. #7296, Lahaina, HI, 96761, USA, (tel) 808-667-2774, (fax) 808-661-0168. E-mail. Bertram 42'loa-Clean, comfortable, fast, tournament equipped sportfishing yacht, departing Lahaina harbor-slip 36. Sterling Powerboats, Palm Beach Gardens Fl., USA, (tel) ! 561 625 6282, (fax) 1 561 626 5405. E-mail. Sun Yacht Charters, 450 SW 130 Avenue, Davie, FL, 33325, USA, (tel) (954) 236-8800, (fax) (954) 236-8822. E-mail. Sun Yacht Charters, P.O. Box 550070, Fort Lauderdale, FL, USA, (tel) (954) 236-8800, (fax) (954) 236-8822. E-mail. Sundown Shipping Company, 355 Harrison Street, Friday Harbor, WA, 98250, USA, (tel) (360) 378-3012, (fax) (360) 378-3042. E-mail. Sunny Sailing, Vosstaniya 55, Saint-Petersburg, 191123, Russia, (tel) +7 (812) 272-36-63, (fax) +7 (812) 327-35-25. E-mail. Yacht and motorboat charter in Russia and worldwide. Incoming tourism, cruises and visa support in Russia. Sunquest Yacht Services, Inc, 2760 NE 16th Street, Ft. Lauderdale, FL, 33304, USA, (tel) 954-565-7677, (fax) 954-565-0114. SunSea Yacht Charters, Burnham Harbor, Slip NC, Chicago, IL, USA, (tel) 312-461-0775. Sunset Bay Yacht Charter Group, 450 Denman Street, Vancouver, BC, V6G3J1, Canada, (tel) 604-669-4604, (fax) 669-669-4605. E-mail. Superior Charters, Inc., RR 1 Box 719, Apostle Islands National Lakeshore, Bayfield, WI, 54814, USA, (tel) 800-772-5124, (fax) 715-779-3014. E-mail. Superior Yachts and Properties, 1535 S.E. 17th St., Suite 201, Ft. Lauderdale, FL, 33316, USA, (tel) 305-524-9005, (fax) 305-524-7009. Superyachts International, Inc, 2733 NE 21st Court, Ft. Lauderdale, FL, 33305, USA, (tel) 954-396-9900, (fax) 954-564-4178. Full service charter broker and management company. TAHITI OCEAN, PO Box 4570 Papeete, Tahiti, 98713, French Polynesia, (tel) (689) 45 55 82, (fax) (689) 42 80 31. E-mail. Tamarack Charters, 6649 Lancaster Street, Vancouver, BC, V5S 3A7, Canada, (tel) 604-435-2992, (fax) 604-435-2955. E-mail. Salmon Sportsfishing from Vancouver, BC or along the Sunshine Coast. Fishing tackle is supplied aboard this 28' Sport Fisher. Relaxing day charters for 1-6 guests. King, Silver, Sockeye, Pinks or Cod. The Floating Village, via Olmetto 1, Milano, 20123, Italy, (tel) +39 2 89010657, (fax) +39 2 862729. E-mail. The Floating Village S.R.L. is an upmarket Tour Operator leader in Italy for Venezuela and specializes in cruises with our veteran boat in Los Roques. The Royal Overseas Yachting Co., Ltd., P.O. Box 659, International Trust Bldg., Road Town, Tortola, Virgin Islands, (tel) 1-877-693-9292 or 1-340-693-9292, (fax) 1-340-693-7011. E-mail. Virgin Islands based luxury crewed charter yacht brokerage that provides all-inclusive sailing holidays aboard monohulls, catamarans, & power yachts in the Virgin Islands and throughout the Caribbean. Tondeleyo, 1759 Bay Road, Miami Beach, FL, 33139, USA, (tel) 800-327-2602x3328, (fax) 305-674-1219. E-mail. Classic Sparkman & Stephens '92 motor/sailing ketch. Based in Miami - sails the Bahamas, Florida Keys - the world. Call us for additional details. Ultramarine Yacht Charters, Ltd., 200 East 90 Street, Suite 25B, New York, NY, 10128, USA, (tel) 212-423-9280, (fax) 212-289-0844. E-mail. Upper Bay Charter Captains Assoc., 1039 Broadview Dr., Annapolis, MD, 21401, USA, (tel) 410-974-0605. E-mail. USA Charters, 195 Concord Road, Keene, NH, 03431, USA, (tel) 603-357-4489, (fax) 603-357-4489. E-mail. Vacation Yachting, Marina Finikas, Syros Island, 84100, Greece, (tel) +30 93 28 72 068. E-mail. Vacations On The Water, 2625 Old Louisville Rd., Guyton, GA, 31312, USA, (tel) 1-888-898-8070. E-mail. "THE ULTIMATE ONE-STOP AQUATIC VACATION RESOURCE" The first Web site of its kind to offer a complete source of yacht charters and lodging information relating to the water - anywhere on the globe! VAFMED Yachts, Athinaidos 63, Voula, 16673, Greece, (tel) +30 1965 7085, (fax) +30 1965 8206. E-mail. Best offers yacht models 2001 for sailing in marvelous Greek islands. Value Charters, 1402 Hounhill Ct., Crofton, MD, 21114, USA, (tel) 1 (800) 296-6772, (fax) (410) 451-2133. E-mail. The lowest prices. Affordable charters in exotic locations: Florida, Caribbean, Mediterranean, Canary Islands, Pacific and Indian Oceans, bareboat or with skipper. Verdeblu Broker & Charter, Via Monte Zebio 32, Rome, Italy, (tel) 0039-06-322-18-35, (fax) 0039-06-360-00-109. E-mail. Verdeblu Broker is a registered charter company with its own fleet in Tuscany with 16 yachts from 29' to 50', and a large selection of crewed yachts along the Italian coast. Vernicos Yachts S.A., 11, Poseidonos Avenue, Alimos, Athens, 174 55, Greece, (tel) +30 210 9896000, (fax) +30 210 9850130. E-mail. The leading yachting company in Greece, with large crewed charter fleet here in Greece. We are also brokers and dealers, as well as operators of a large bareboat fleet. VIP Sail & Power Yacht Charters, 6118 Estate Frydenhoj 58, St Thomas, 00802-1402, Virgin Islands, (tel) 340-776-1510, (fax) 340-776-3801. E-mail. Surprisingly affordable quality bareboat vacations in the Virgin Islands. Amenities include: blender, microwave, power inverter and inflatable right bottom dinghy with 15HP outboard. Virgin Island Sailing, c/o Rush It, Inc, P O Box 11156, St Thomas, 00801, Virgin Islands, (tel) 1-800-233-7936 or 809-494-2774, (fax) 809-494-6774. Virgin Islands Sailing, Ltd, 2216 Lakeshore Drive, Nokomis, FL, 34275, USA, (tel) 800-382-9666, 941-966-9387, (fax) 941-966-4038. E-mail. Virgin Traders Motor Yachts, P.O. Box 993, Road Town, Tortola, British Virgin Islands, (tel) (284) 495-2526, (fax) (284) 495-2678. E-mail. Virgin Traders Tortola offers the finest range of Motor Yachts currently available in the Caribbean. Based Tortola BVI. Bareboat & Crewed. Virgin Yacht Vacation, 10 Estate Misgunst, St. Thomas, Virgin Islands, (tel) 340-774-0432, (fax) 340-774-0568. E-mail. Offers a personal consulting and booking service to persons wishing to experience the wonderful experience of a crewed yacht vacation. Wanderlust Yacht Vacations, PO Box 540 East End, Tortola, British Virgin Islands, (tel) 800-724-5284/284-494-2405, (fax) 284-494-2405. E-mail. Charter your own private yacht, Wanderlust is a supremely luxurious custom built 65' cruising trimaran. Discover the British Virgin Islands aboard one of the premier charter yachts in the Caribean. WayNorth Maritime Services, Lundekroken 11, Billingstad, Norway, (tel) +47 9053 6656, (fax) +47 9038 4150. E-mail. We manage your every need sailing in Norwegian waters. Be it on your own vessel or one we can supply. Check us out! World Wide Marine, 2513 South Cedar Street, Tacoma, WA, 98405, USA, (tel) 253-272-5482, (fax) 253-272-5481. E-mail. Yacht Charters International, 5200 La Gorce Drive, Miami Beach, FL, 33140, USA, (tel) 305-861-2686, (fax) 305-868-4476. E-mail. Yacht Management Services, 14 Hampton Road, Cape Elizabeth, ME, 04107, USA, (tel) (207) 767-5611, (fax) (207) 799-6674. E-mail. Yacht management services of Cape Elizabeth, Maine. Yacht charter arrangement, yacht care services, yacht consulting, and education. Yacht chartering in Maine and Caribbean. Yacht Services International, 150 City Island Ave., City Island, NY, 10464, USA, (tel) 718 885 3294. New York's charter fleet. Power, sail, bareboat, crewed. Corporate meetings, weddings, parties of all kinds for groups of 2-600. Yachting Adventures, 239 Stonehaven Way, Seneca, SC, 29672, USA, (tel) (800) 877-9313, (fax) (864) 654-3292. E-mail. Yachting Greece Inc., 46 Eratous Street, Athens, 15561, Greece, (tel) +30 10 6537000, (fax) +30 10 6540062. E-mail. Extensive knowledge of Greek charter yachts make us the best choice when it comes to a yachting holiday in Greece. Understanding and fulfilling charterers' requirements is our chief goal. Yates Yachts, CO, USA, (tel) (866) 994-7245, (fax) 970-871-1848. E-mail. Let us help you find the perfect crewed yacht charter in the Caribbean. Affordable prices, all the ammenities, luxury without the luxurious price! Yeager Marine Associates, Inc., 1213 Mango Isle, Ft. Lauderdale, FL, 33315, USA, (tel) 954-523-3872, (fax) 954-523-3872. E-mail. Yellow & Blue Boating Holidays, Van Carnebeelane 29, Driebergen, Holland (Netherlands), (tel) +31 343 518913, (fax) +31 343 512638. E-mail. Our site offers fast access to over 10,000 charter yachts worldwide. Zefiro Yacht Charter, Via Locatelli 6, 20124 Milano, Italy, (tel) +39 026694464, (fax) +39 026705260. E-mail. Independent company of established reputation since 1983. In-depth knowledge of boats, owners, cruising grounds, crews and harbor facilities continuously updated by frequent on-site inspections. Person-to-person advise in selecting the yacht and the cruising area that perfectly fit. Wide selection of motor and sailing yachts, and bareboats.